Whether you have a large landscaping project or simply need to touch up your flower gardens, Taylor's has the materials you need to get the job done. We stock brown, black, and red mulch as well as a wide variety of decorative stone, including both washed and crushed stone. We have a huge selection of natural palletized stone for walls, patios, water features, walkways, and more. We stock two kinds of sand as well as clean sifted topsoil. And to help keep the weeds out of your garden, Taylor's sells landscape fabric to put beneath your mulch or stone. All of our products can be picked up at our yard, or delivered for an affordable fee. Click here for our pricing sheet. Taylor's is an authorized Pavestone® distributor, carrying Pavestone's Hagerstown, Maryland production facility's full catalog of segmental concrete products. 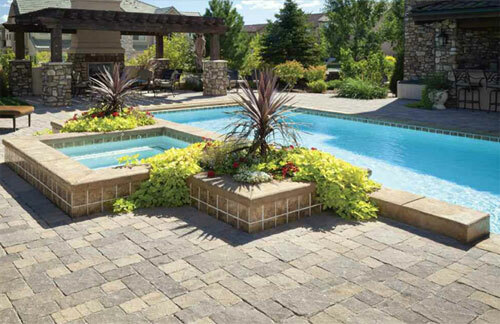 A huge selection of pavers are available for patio, walkway, and driveway applications. 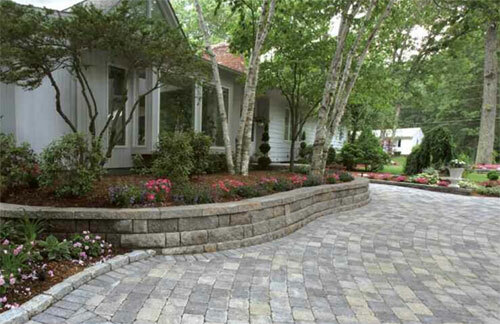 Retaining wall blocks and free standing wall blocks are available in a wide variety of color blends and sizes. You can also find edgers to border your garden or walkways and fire rings to warm up your patio.